Unilever's diversity and inclusion chief Aline Santos has criticised the industry for a lack of action but welcomed the accountability that has come with a spotlight being shone on the issues. 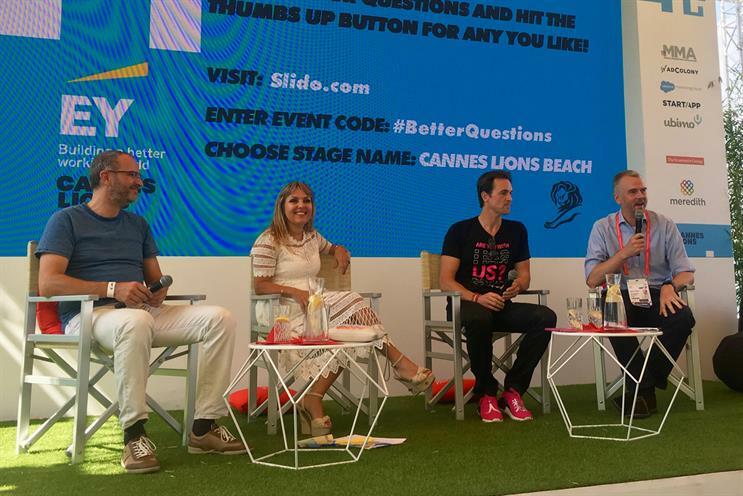 Speaking at a panel held by The Economist at Cannes Lions on 22 June, Santos, executive vice-president for global marketing and global head of diversity and inclusion, said: "I have never seen such a mobilisation of people to speak about Cannes about a critical issue – diversity." "I'm still happy about that," Santos said. "Because now that they are speaking publicly, we can hold them accountable." There is still a lot of work to do and it won't happen overnight, she acknowledged. "We [Unilever] have 47% women in our business, our non-executive board is 45% women... but what about representation of other groups? Of colour? Of disability?" Natanael Sijanta, director global marketing communications Mercedes-Benz, is, however, less patient. "You have to do something," he exhorted to the audience. "Who are you going to employ in your team? For your next project? We recently went through a big pitch and one of our questions was, 'How diverse is your team? Your leadership team? Your project team? What are their ethnic backgrounds?' Even religion, because it changes how people think." It's important to bear in mind, he continued, that it's not about being wrong or right, or good or bad, it's about the diversity of thought. "I believe diverse teams result in a much better outcome for business than homogenous teams. At first, it may be faster to work in a homogenous team, but from an outcomes perspective it is much more effective to have multiple opinions at the table," Sijanta said. "What we’re finding is... every time you use advertising to do something that challenges stereotypes, the ad gets on average 25% more branded impact and raises purchase intentions by 13%," she said, citing a study Unilever had run with Kantar earlier this year. Brands need to ask themselves why they exist, Santos concluded. "As a company, we need to be doing something great for the planet. To leave it better because we are here. If not, we don't deserve to exist."